We expect that the Ashley Stewart 2019 Black Friday sale will continue the tradition of offering 40% off every item in the store including dresses, sweaters, jeans, skirts, pants, shoes and other accessories. There is also a great chance that they include free shipping on every order too if you shop at AshleyStewart.com. The 2019 Ashley Stewart Black Friday deals have not yet been released. While we don't have the Black Friday ad for AshleyStewart.com yet, below are some of their historical deals which will give you a good indication of what you can expect during this year's sale. 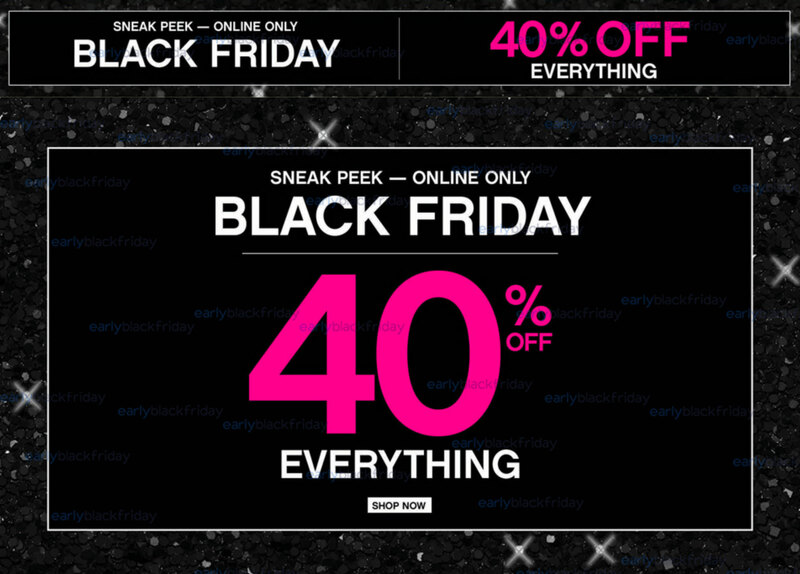 Ashley Stewart continues to follow the same trend on Black Friday by offering a 40% discount on everything on their inventory. 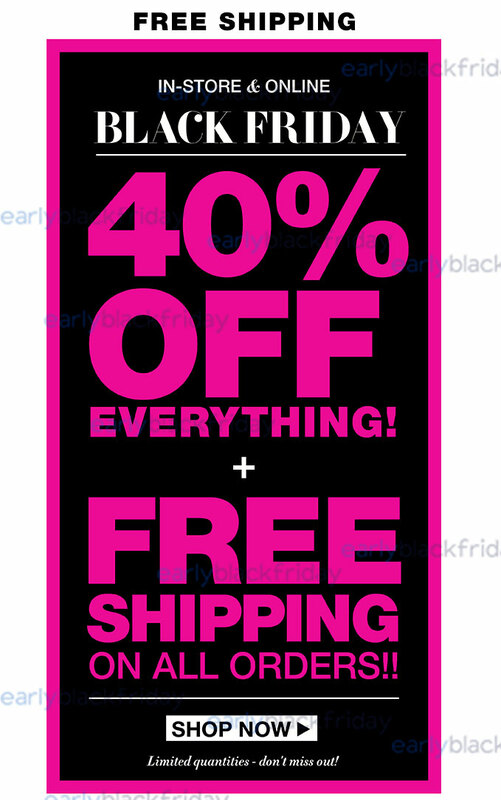 The rush on 2016 Black Friday sale was intense, with 40% on all their products in-store and on the entire site plus free shipping on all orders, especially the jump suits, floral prints maxi dress and the sweater dress. The Ashley Stewart 2015 Black Friday sale may not have been as intense as 2014, even with the same 40% discount on everything online plus free shipping on all orders, it was a shopping spree season for curvy divas. Unlike the 2014 Black Friday sale, the discount on 2015 sales was restricted strictly to online sales. No coupon code needed and discount reflected in product prices displayed. 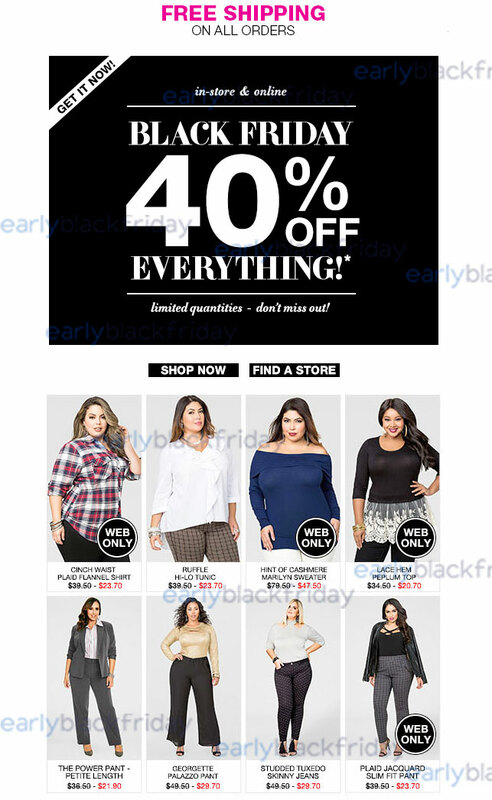 With dresses, sweaters, jeans, skirts and shoes, Ashley Stewart offered a lot of choice in its plus-size collections during 2014 Black Friday Sales, themed Sneak Peek, with 40% off all merchandise in their online store including shoes, handbags and accessories. Unfortunately, it was less than the previous year's sale when they featured a site wide discount of 50% and included free shipping for orders of more than $99. The online-only discount had on sale some great basics including tanks, maxi dresses, and leggings in sizes 12 through 26.